The elevated position of the Gen-X Push-Up Grips allows for a greater range of motion for strengthening your chest, triceps and shoulders. 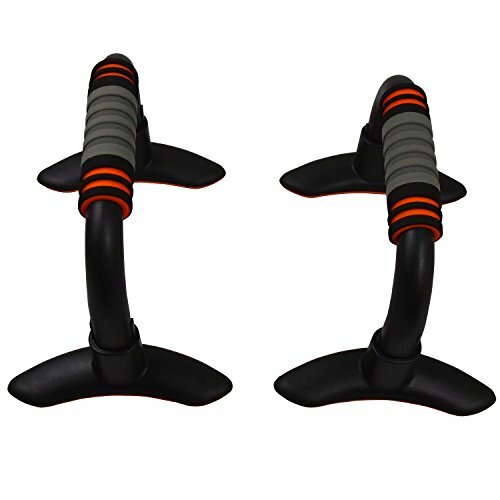 The ergonomic design puts less stress on your wrists, and the grips are soft and contoured for a more comfortable workout. Wide bases and a balanced design provide stability, and the grips are balanced and removable for easy transport. Engineering plastic material allows high weight capacity. Stronger and more sturdy than steel material. If you have any questions about this product by quad77, contact us by completing and submitting the form below. If you are looking for a specif part number, please include it with your message.